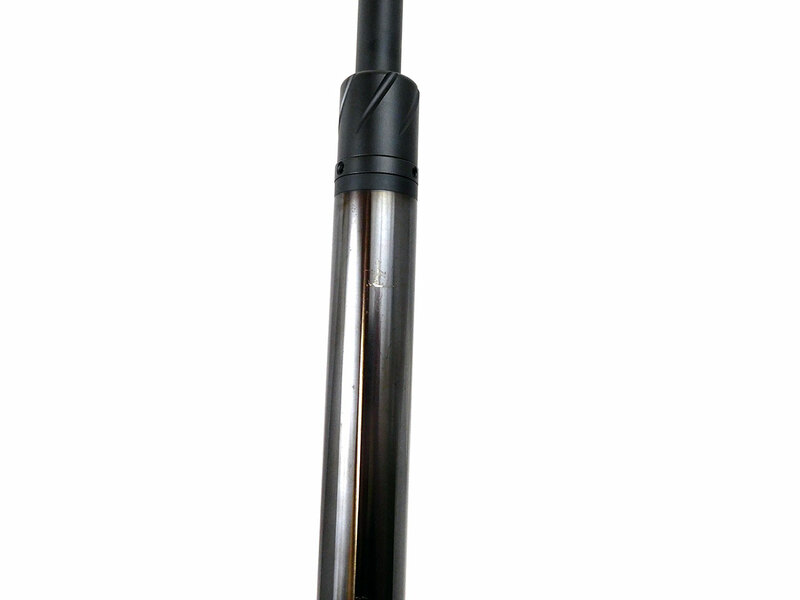 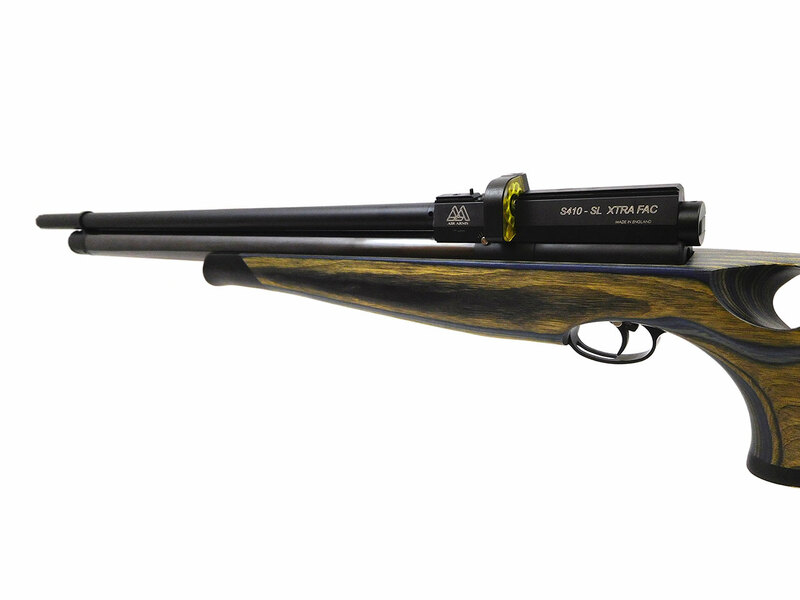 The Air Arms S410 SL is a precharged pneumatic, sidelever cocking, repeater with 10 round rotating magazine clip. 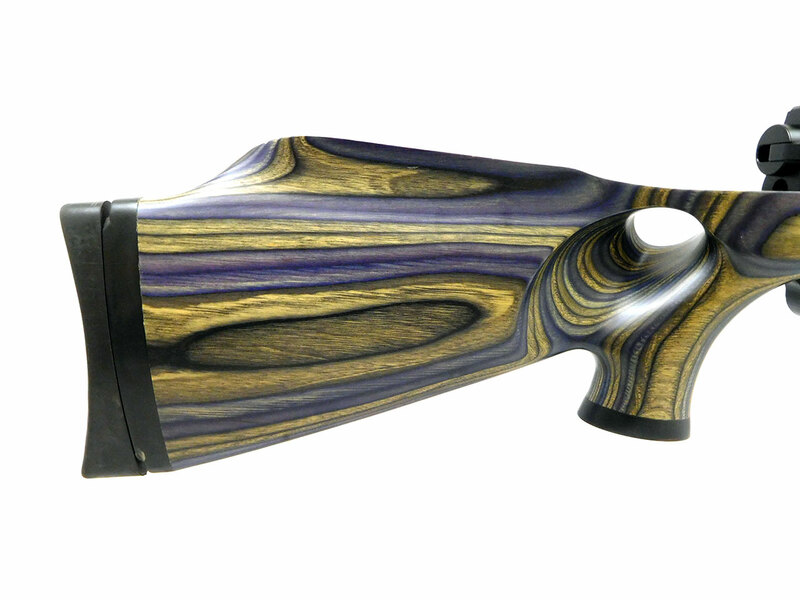 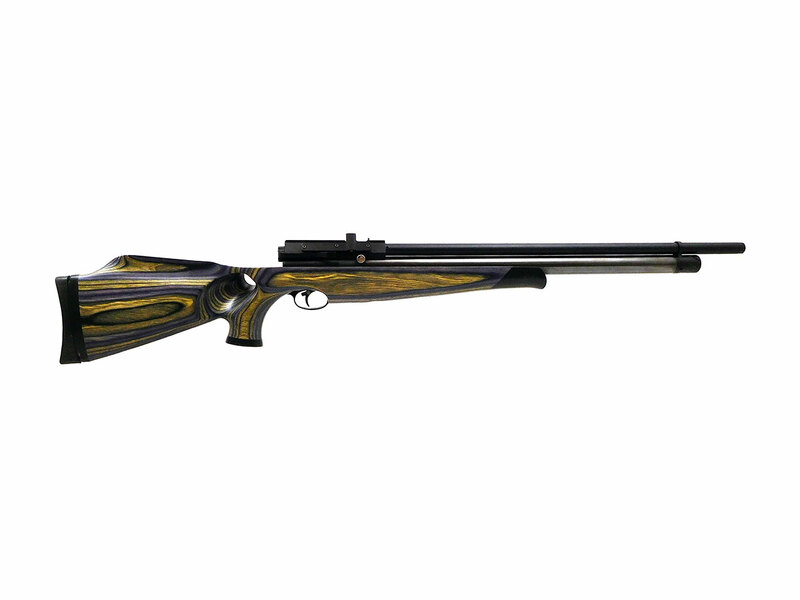 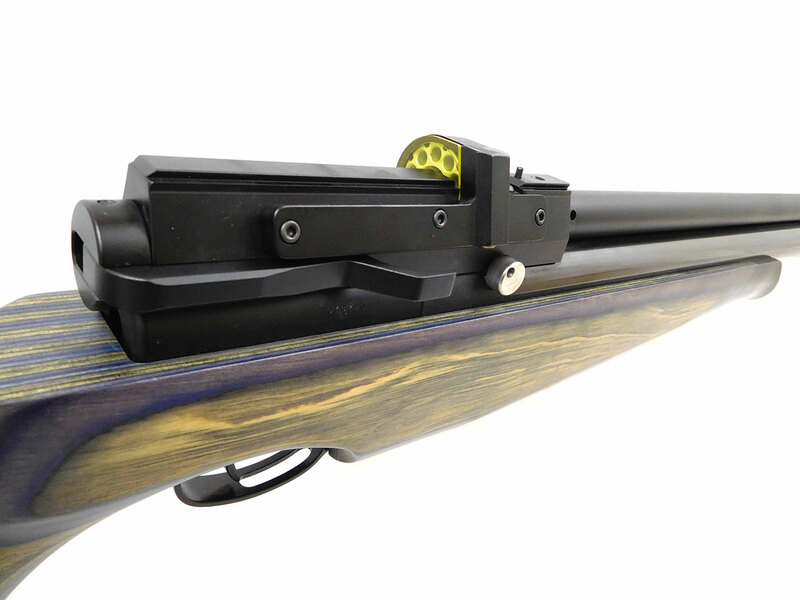 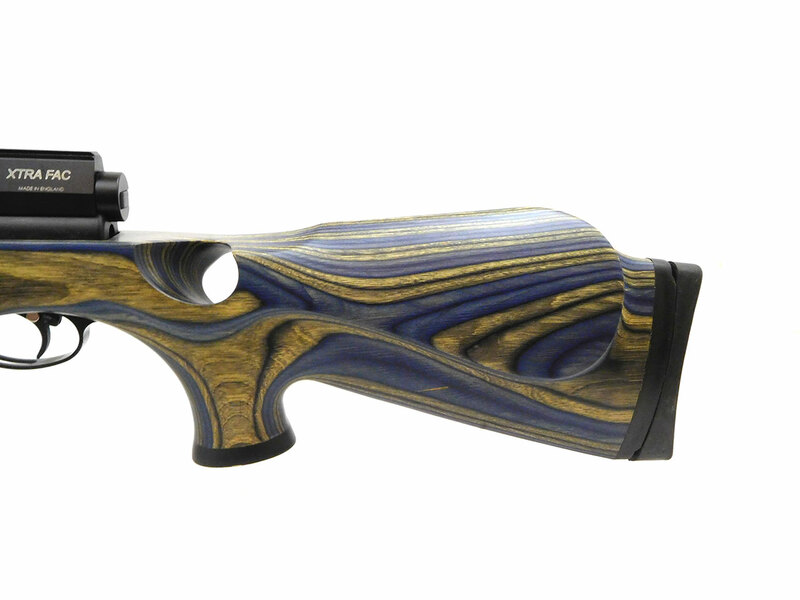 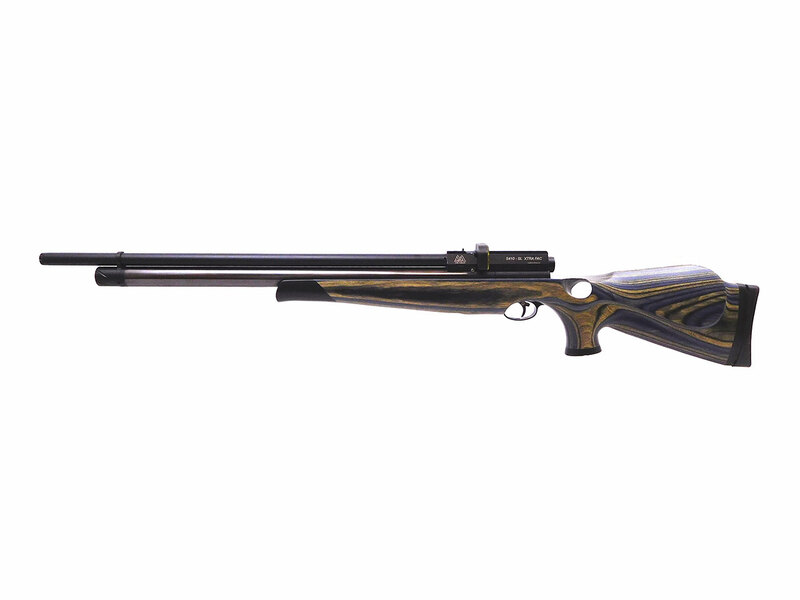 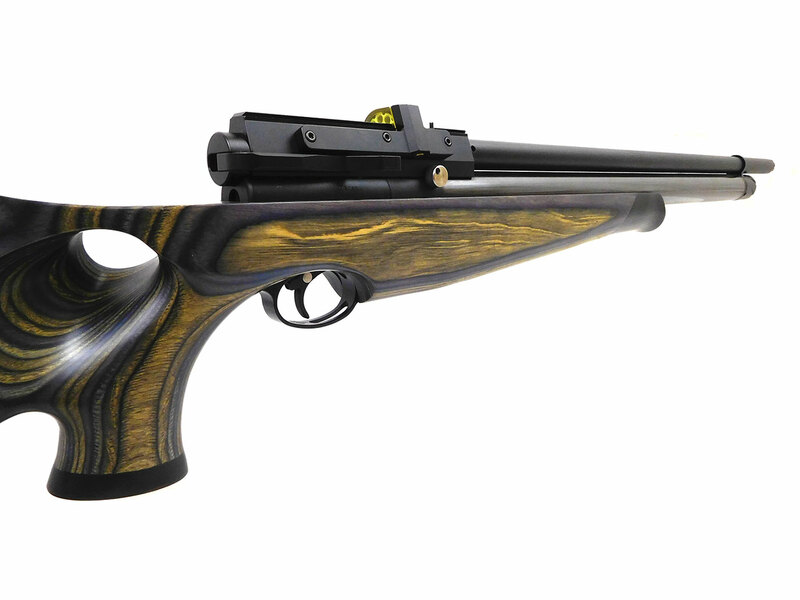 This is a great field target rifle, but thanks to the green and blue laminate thumbhole stock looks as good as it shoots. 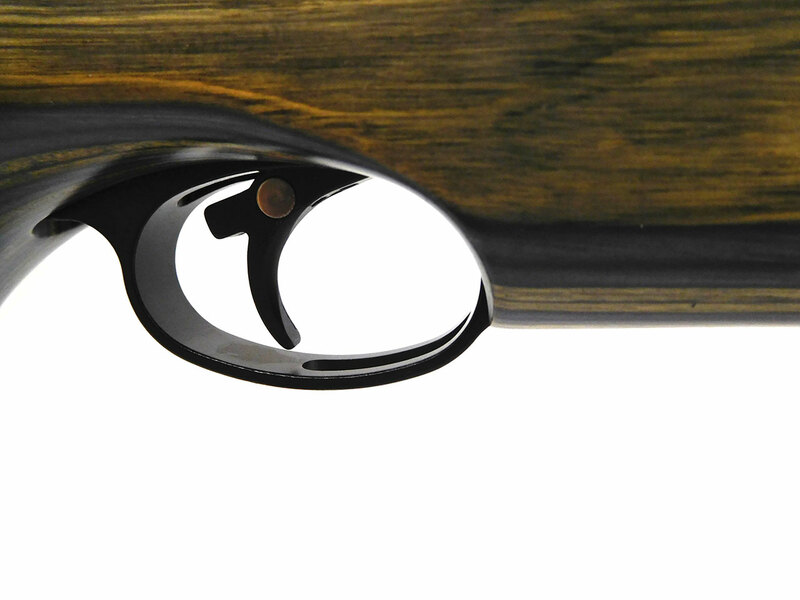 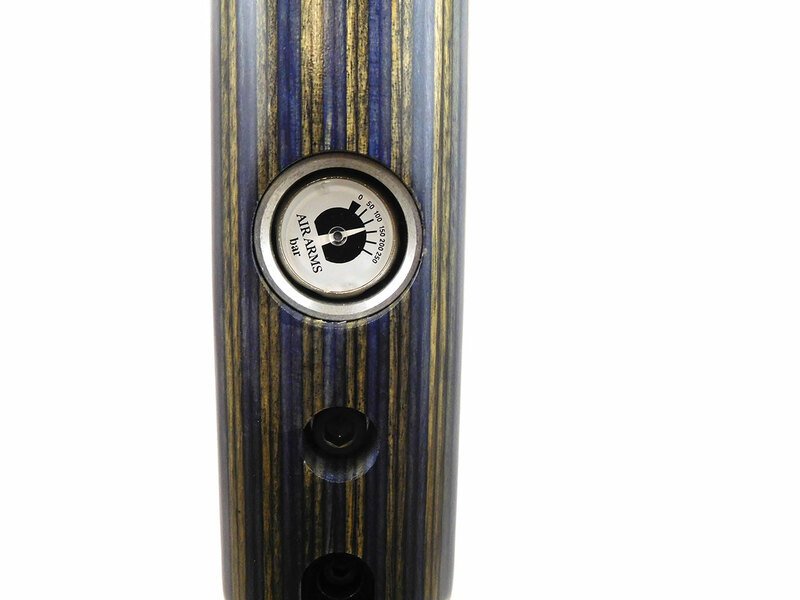 This gun is in excellent condition with just a small blemish in the metal finish under the air tube (pictured). 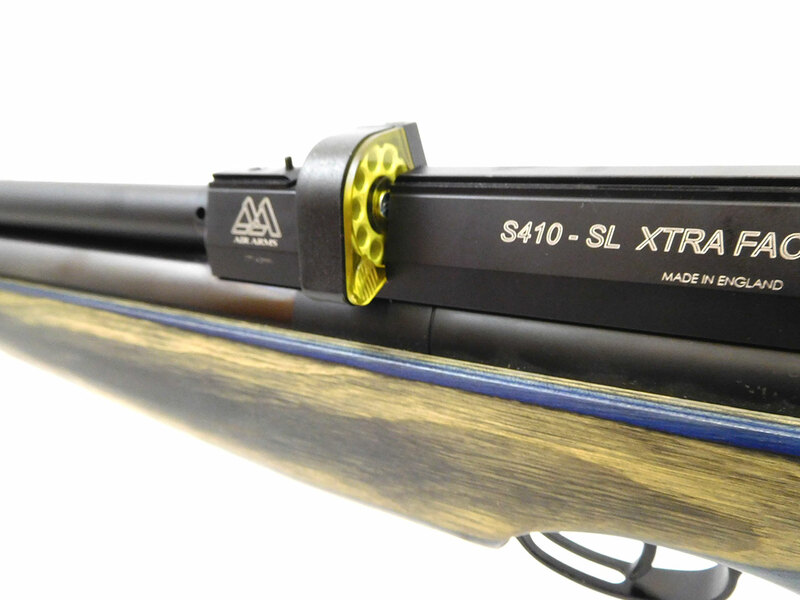 Velocity tested at around 1080 fps on med-high power using lead pellets.